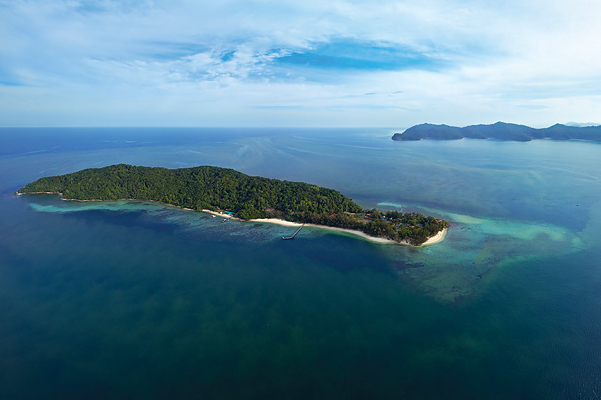 The third largest island in the world, Borneo is lined with gorgeous coasts. 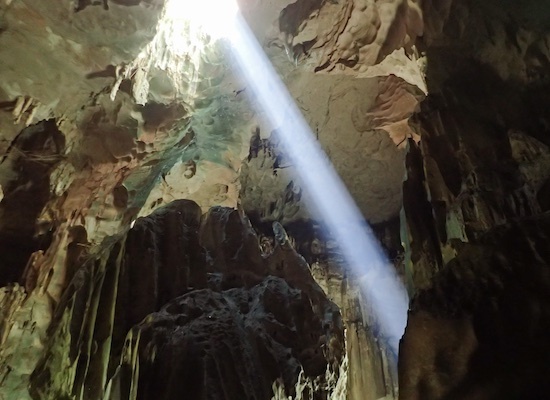 It’s also home to one of the largest cave systems on earth. 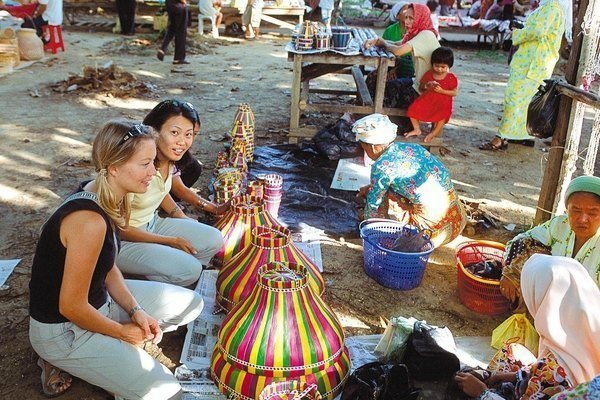 This itinerary gives you a taste of the coast with days on the water near Kota Kinabalu and Miri and takes you into the ancient wonderlands of Niah and Mulu. 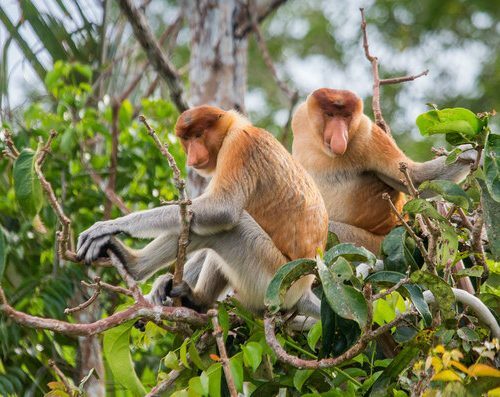 As every trip to Borneo should include a chance to see orangutans and monkeys, we’ve included a visit to Bako National Park along the northwestern coast to look for proboscis monkeys and a trip to Semenggoh Nature Reserve, home to semi-wild orangutans who love to check in at feeding times. We’ve put in a day of diving for those so inclined but don’t let that scare you off if that’s not to your liking. This itinerary is here to inspire you as all of our holidays are tailor-made. We’re happy to add or subtract days, change hotels, and adjust as you see fit. This itinerary pairs well with a beach holiday in Malaysia or Thailand. Please ask us for advice and perhaps seek a bit of inspiration here. 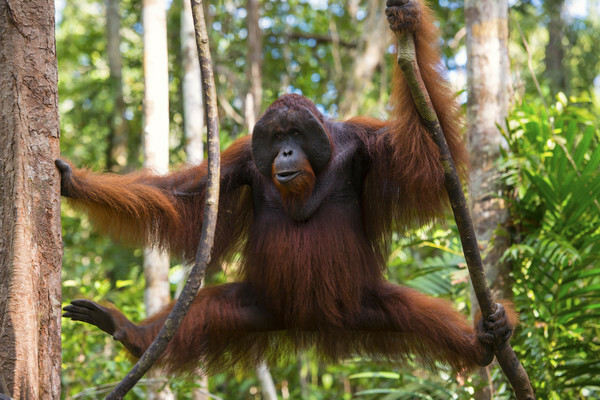 To learn more about the coasts and caves of Borneo, give us a call at UK 020 7112 0019 or email borneo@fleewinter.com to start planning your holiday. Welcome to Borneo! 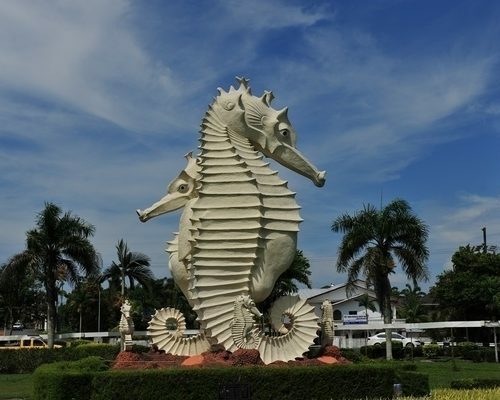 Your driver will meet you at Kota Kinabalu International Airport and transfer you to your downtown hotel. You’ll be within walking distance of the waterfront, night market, and a variety of shops and restaurants so have a bit of a wander this evening. You’ll need walking shoes and beachwear today. After a thirty-minute boat ride with your guide, you’ll walk through the rainforest of Gaya Island. Following a picnic lunch, relax on the beach or don a mask and snorkel and slide into the waters of the South China Sea. After a leisurely morning your driver will collect you for the short ride to the airport and your hour-long flight to Mulu. You’ll transfer to your simple accommodation within the park. Take a self-guided stroll on the trails as the afternoon is at your leisure. 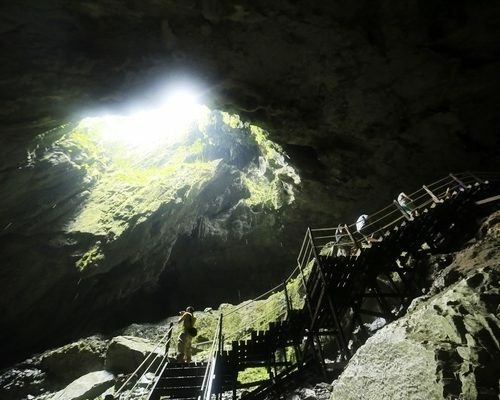 Today your guide will take you through Deer Cave with your guide to the Garden of Eden. This adventurous trek may have you swimming upriver, eating lunch by a waterfall, and taking in the peaceful surroundings of this little-visited trail. 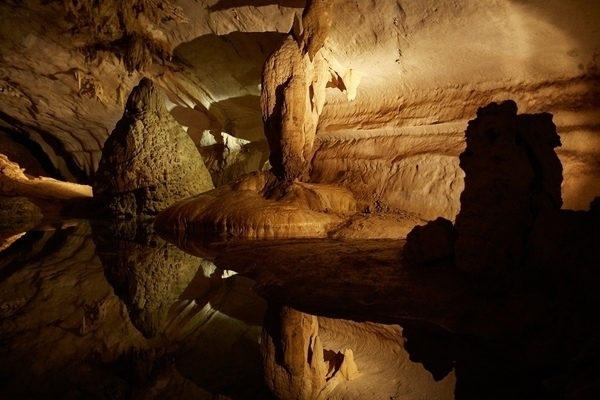 On the way back, visit Lang Cave and if you wish, take a seat to watch the bats stream out at dusk. 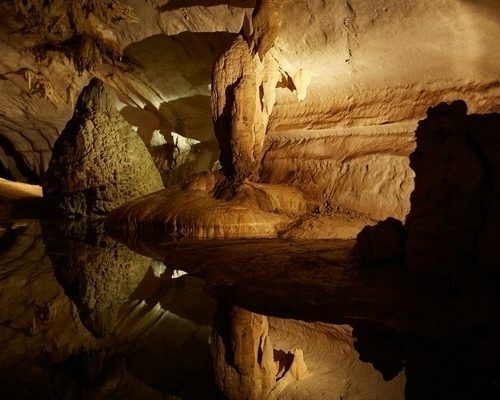 This morning your guide will take you to Wind and Clearwater Caves. 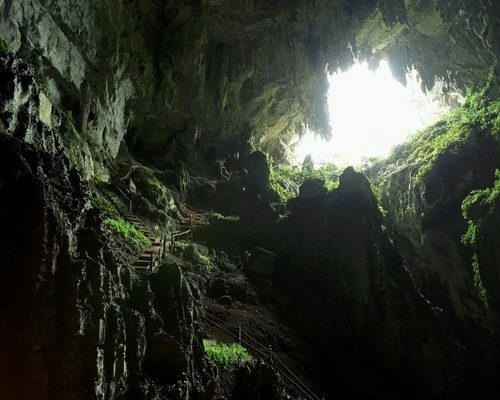 There are many steps to climb but the formations inside are beautiful and a dip in the water outside the caves is a refreshing way to escape the heat of the rainforest. In the afternoon, take a self-guided walk along the trails, visit the information centre, or simply relax on your balcony. 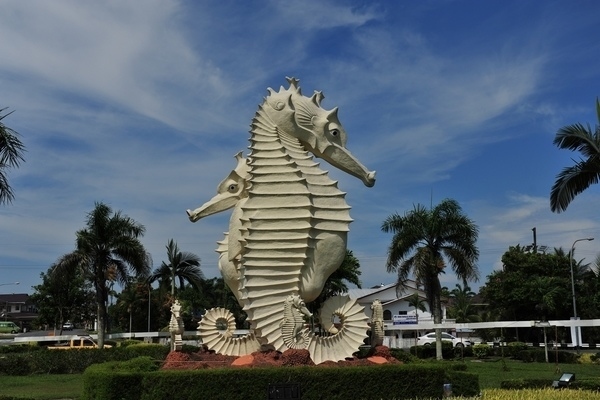 Take a 30-minute flight this morning to the coastal city of Miri. Your guide and driver will get you checked in to your hotel before an afternoon tour of this coastal city. 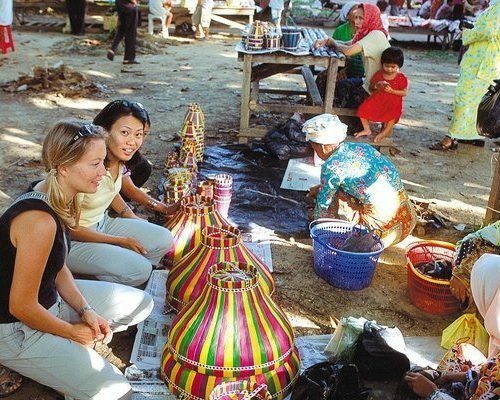 Take in a local market, Chinese temple, the Miri Handicraft Centre, and the view from Canada Hill. 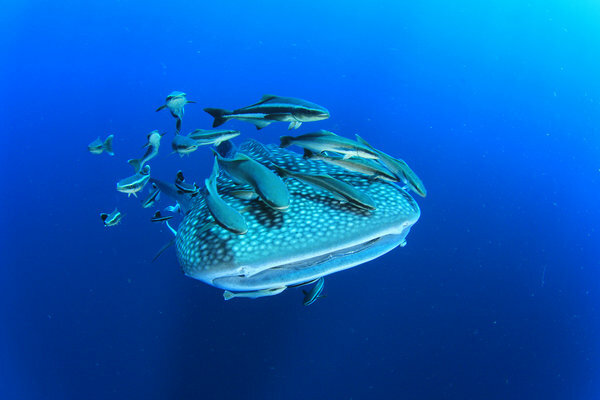 Miri is an unexpected dive destination but the Sibuti Coral Reefs National Park is teeming with healthy marine life. 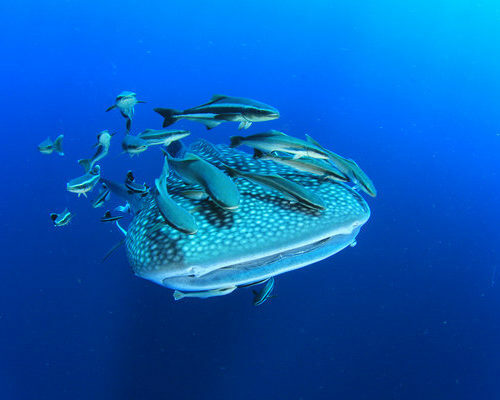 If you’re there between April and June, you could be lucky enough to see a whale shark. We’ve booked two dives today for certified divers (equipment rental not included). 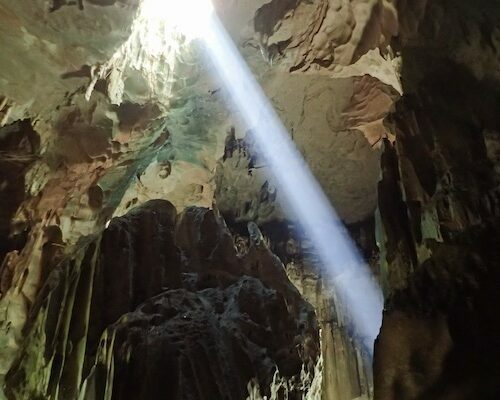 Visit the archeologically interesting caves of Niah today. 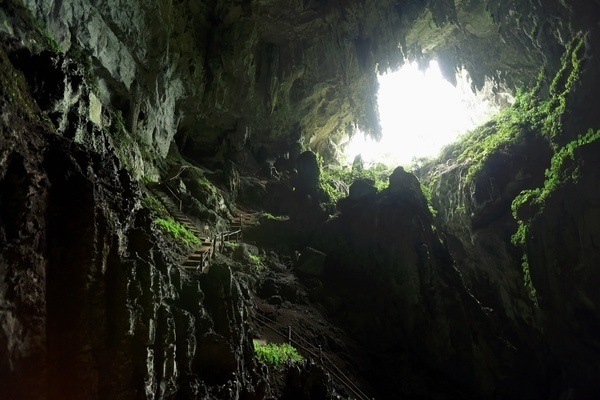 The oldest human remains in Asia were found here, dating to 40,000 years ago. 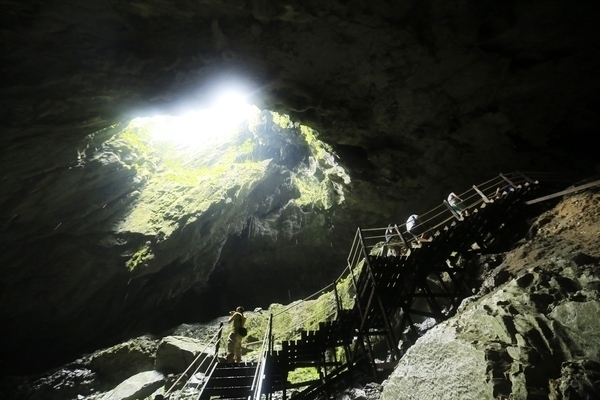 Your guide will take you up and into the caves to look at the rock paintings and more. 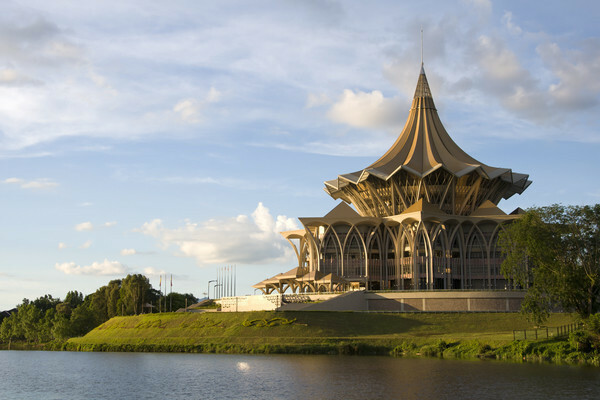 Late in the afternoon you’ll fly to Kuching where you’ll check in to your unique city hotel. 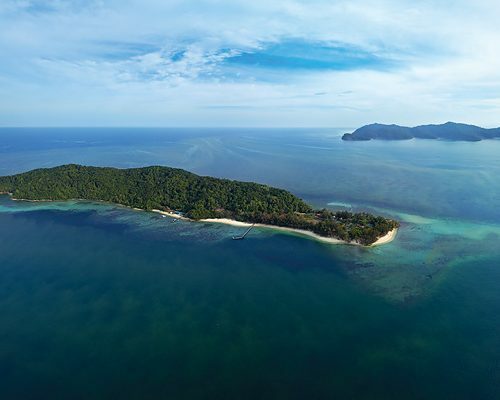 Only an hour from Kuching is Bako National Park. 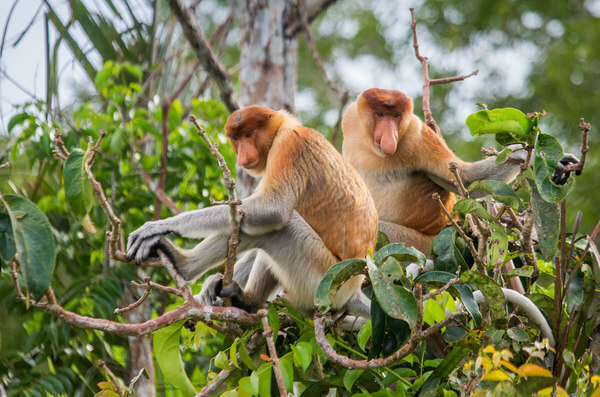 Look for proboscis monkeys in the trees, macaques and bearded pigs along the trails, and ask your guide to point out pitcher plants and other unique plants of this tropical jungle. A short drive from Kuching are rarely-trafficked roads great for riding a mountain bike. Ride to Wind Cave this morning then head off-road to an old gold mine. Continue your ride to Fairy Cave, a sacred place to the locals. End your ride with a challenging stretch through the rainforest. Back in Kuching, the rest of the day is yours to relax. 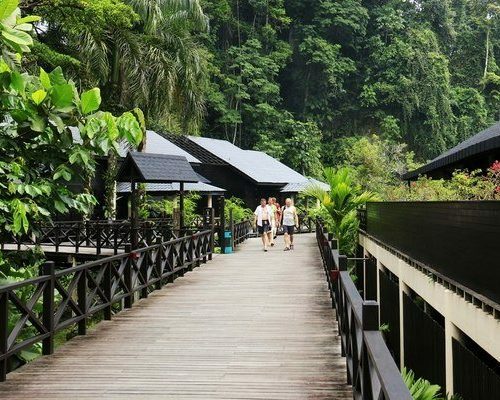 Visit the Semenggoh Nature Reserve during the morning feeding time. 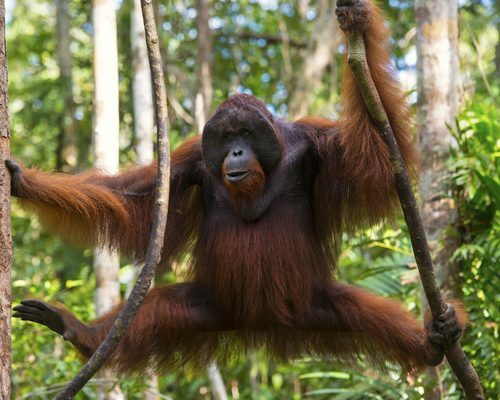 If it isn’t fruiting season, there’s a good chance you’ll see semi-wild orangutans come in for a free meal. 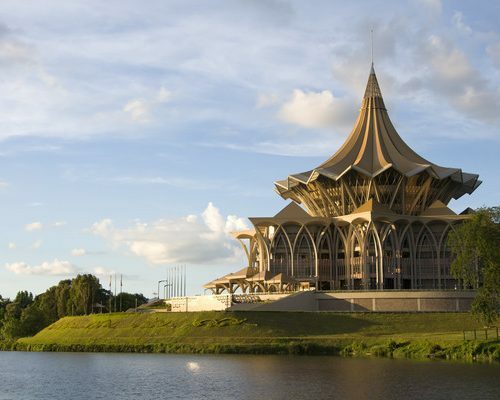 In the afternoon, explore Kuching on foot with your guide. Discover its history and multicultural delights. Transfer today to the Kuching International Airport for your flight onward. Safe travels! This itinerary costs from £1,650 per person based on two adults sharing excluding peak seasons of July-August, Christmas and New Year, and Chinese New Year’s. The price includes all transfers and domestic travel but not international flights.